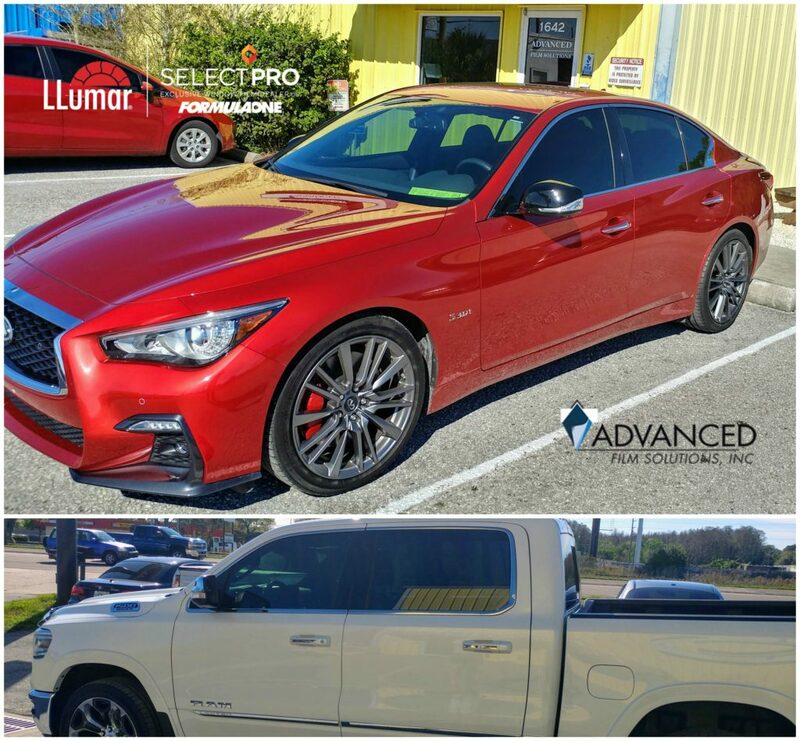 Advanced Film Solutions is the top car and SUV window tinting installation company in the Tampa Bay area. 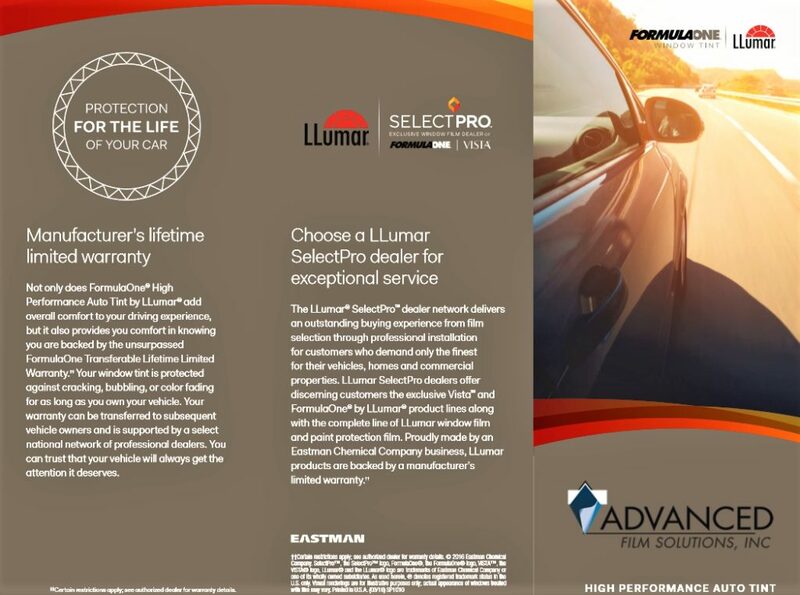 We represent global leader Eastman Chemicals LLumar SelectPro FormulaOne High performance automotive films. Our expert installers provide superior installations and you’ll receive a lifetime warranty along with that flawless installation. Our choices range from the economically priced LLumar series to the state of the art ceramic films like CTX, Pinnacle and our latest best of breed Stratos Ceramic films. 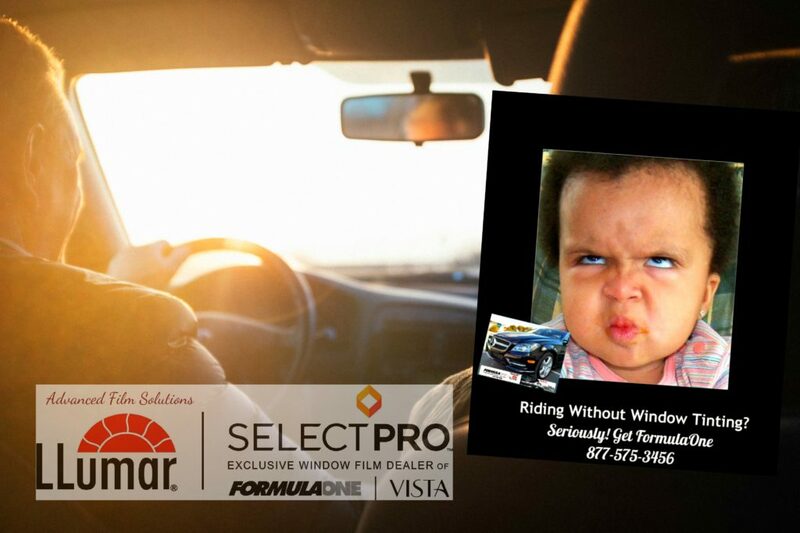 The appearance of these films match factory privacy glass but offer more heat rejection than any other car tinting. We use high speed plotters to match the exact configuration of your windows. No sharp cuts on your soft glass. These films will not interfere with GPS, Bluetooth, Premium satellite radio systems. Our waiting area offers free Wi-Fi so you can take care of business while you wait! Most vehicles take 1.5 hours to complete. 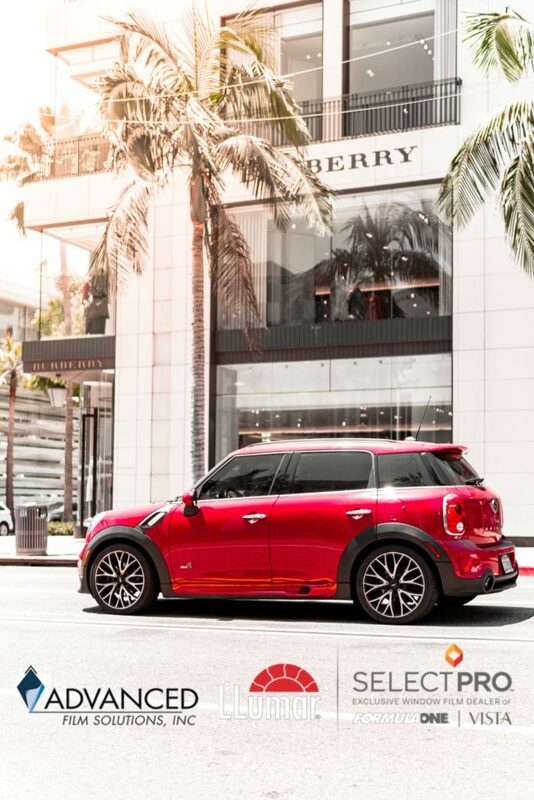 Get a cooler, glare and UV free ride this summer. 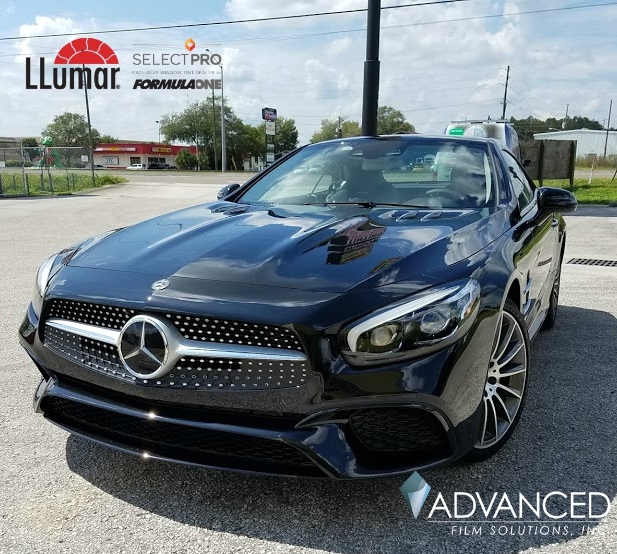 Call Advanced Film Solutions 813-949-3456 today to make an appointment or get a quote based on your specific make and model. Advanced Film Solutions where the coolest Tampa drivers get cooler. 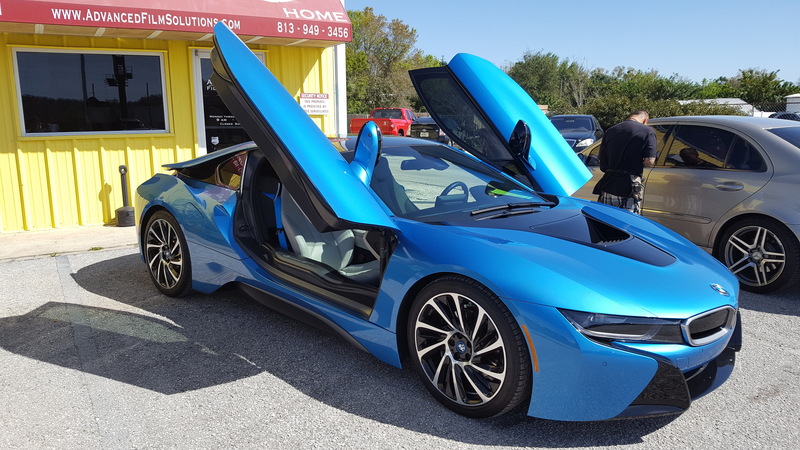 Getting your car tinted in Tampa isn’t really an optional choice. 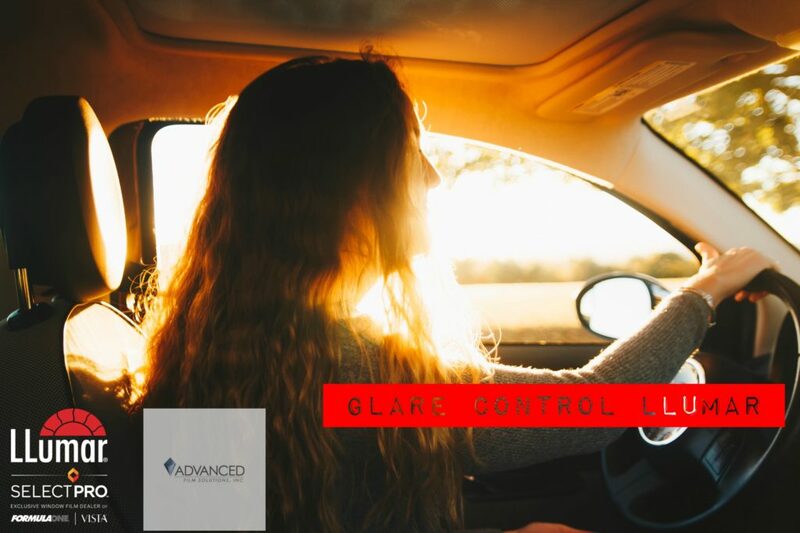 Clear UNTREATED windows on your vehicle let in glare, heat and unfiltered UV. Sitting in traffic heading in and out of Tampa is tough enough. Fighting glare and heat makes that commute even more aggravating! The question becomes: Where can you get the best quality, highest performance car tinting at the best investment? 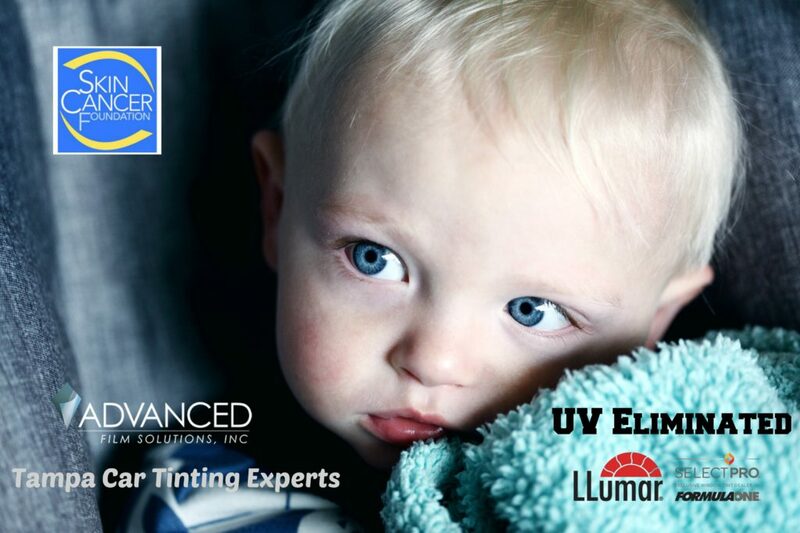 The answer is Advanced Film Solutions located in Lutz FL at 1642 Land O’ Lakes Blvd. 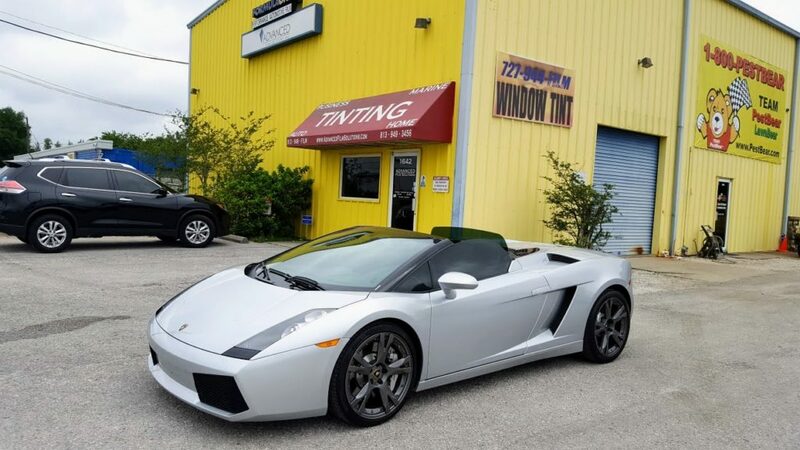 We are the best choice in car tinting for Tampa Bay drivers. 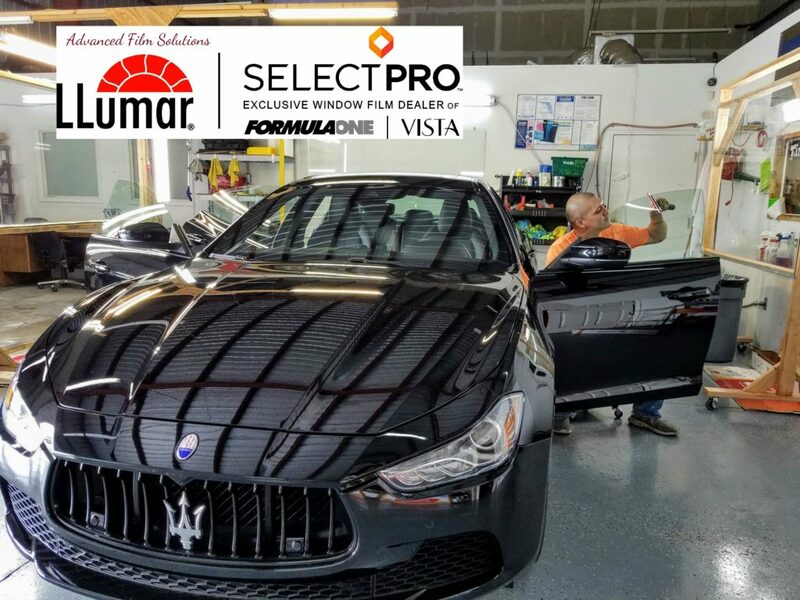 Our exceptional high performance window film LLumar SelectPro FormulaOne has the best heat rejection of any car tinting films. We use high speed plotters and design software to cut car tinting patterns so we do a faster cleaner and precision installation. We have more choices based on the heat filtering characteristics of the film and the type of thin film being installed. Our portfolio includes signal enabling ceramic films like LLumar CTX, FormulaOne Pinnacle and Stratos. We also offer Paint Protection protective coatings. 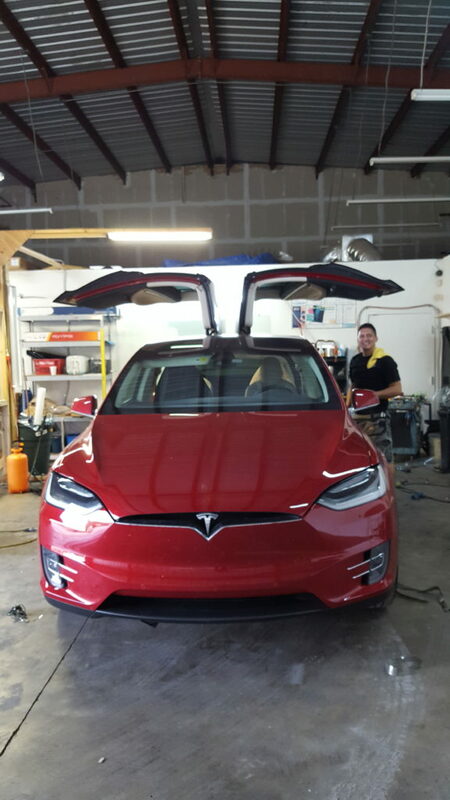 Most installations take 2 hours or less and our coatings match factory tint for your SUV front windows. 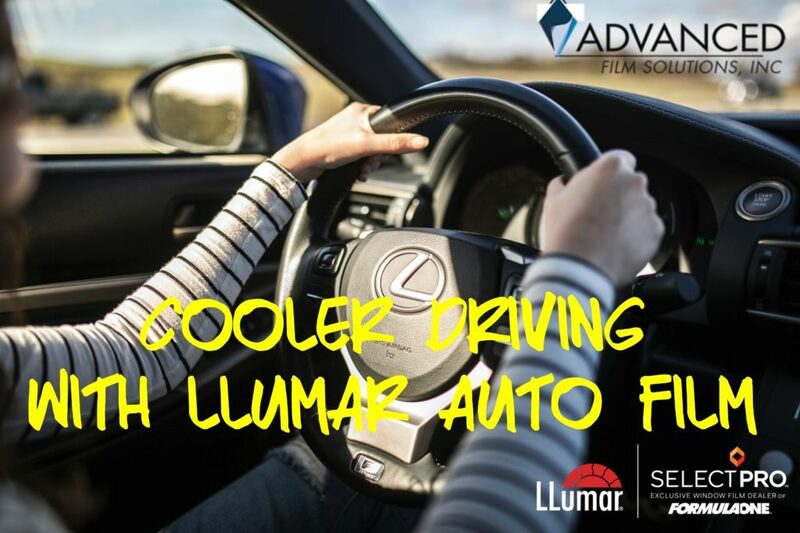 Advanced Film Solutions will cool down your vehicle and the optical clarity of our films is the best in the industry! Call for a scheduled appointment or phone estimate! 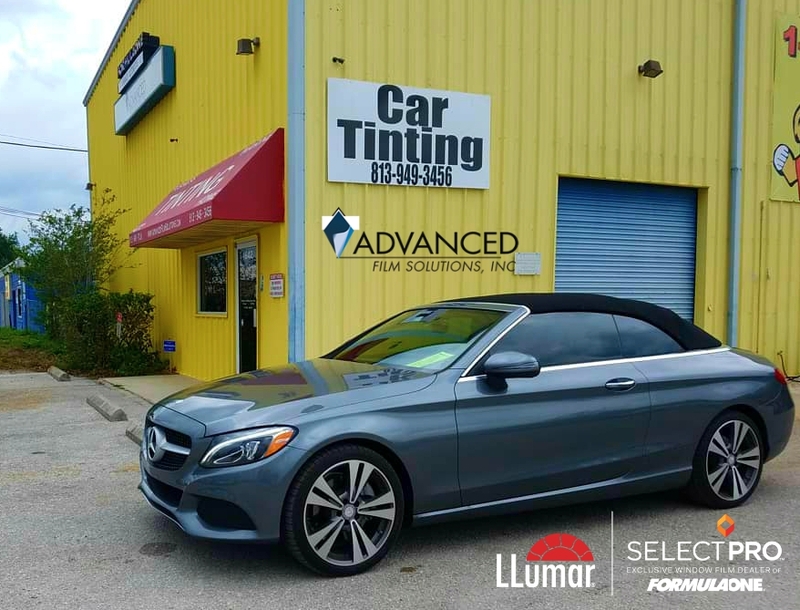 Advanced Film Solutions is Tampa’s best choice for drivers looking for the most efficient heat rejecting auto films in the world. 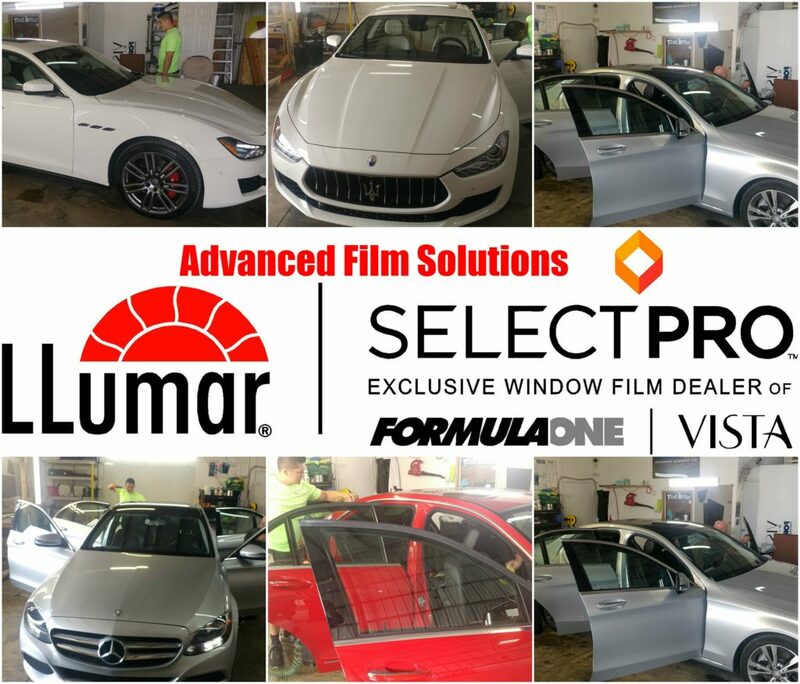 LLumar SelectPro Formulaone Advanced Film offers 4 ceramic window film choices that will match every budget and requirement. The PInnacle and Stratos films are specifically designed for maximum heat rejection without any metals. This means the film won’t interfere with GPS, RF or EM signals. Advanced Film Solutions uses high speed plotters to create the film patterns. This reduces wait time and eliminates the potential for scratches on your car’s soft glass. Most new cars utilize Bluetooth signals and many drivers have satellite radio in their cars. Metallic car tinting can interfere with these signals as well as radio frequencies particularly if your antenna is built into your rear window. Metal films do a great job with keeping the heat out of your car or SUV but that downside of losing your signal can wreck havoc with your listening pleasure. That’s why Eastman created signal enabling car films that maximize heat rejection while preserving your RF and EM signals. 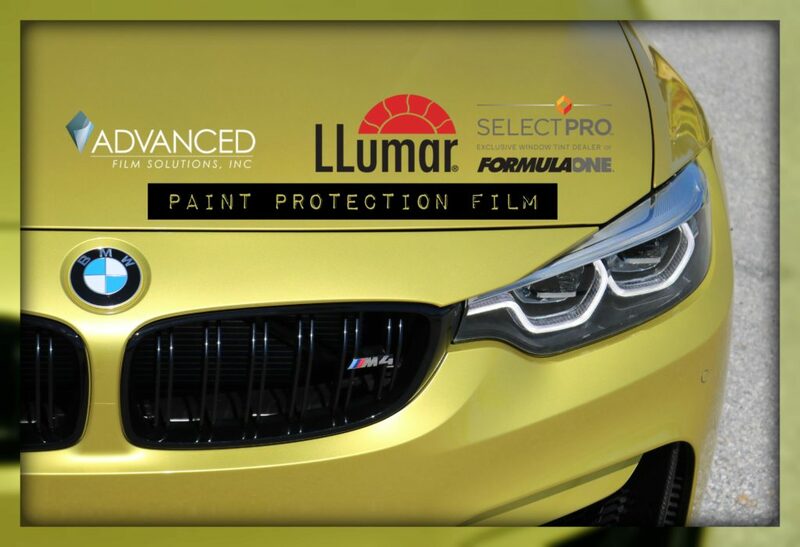 FormulaOne Pinnacle Film , Stratos and LLumar CTX are the premier ceramic non metallic car films. These films are designed to surpass metal film heat rejection but since they are metal-free they won’t block Bluetooth or Satellite radio. Available in all the popular light transmissions so you can have glare and heat rejection without any sacrifice. 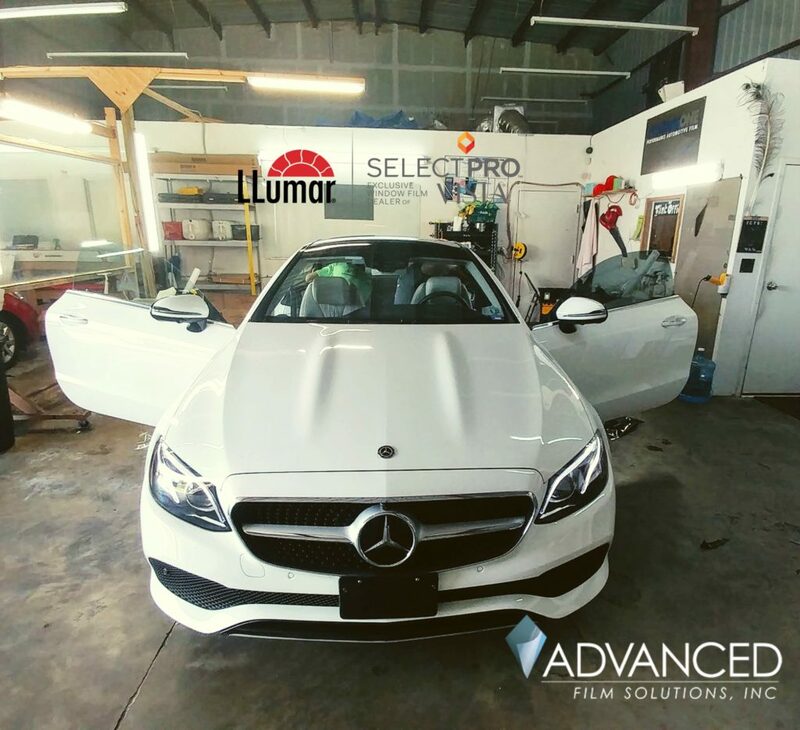 Advanced Film Solutions is Tampa Bay’s Number One LLumar SelectPro and FormulaOne High Performance Car Tinting installation company. Eastman Chemical’s is the world’s largest window film manufacturing company. 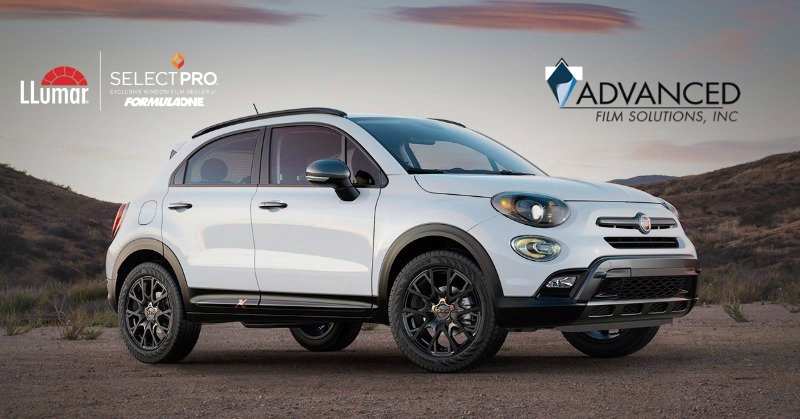 Leading automotive brands include the economically priced LLumar and LLumar SelectPro as well as the prestige FormulaOne Brand that includes Pinnacle ceramic film, Stratos and CTX. 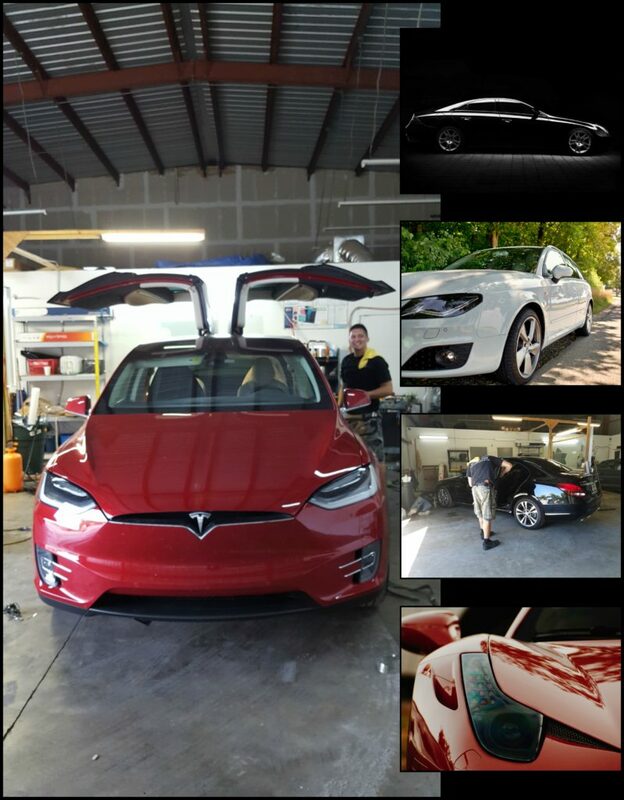 In addition Advanced Film Solutions installs Eastman’s Paint Protection Film that preserves your car’s finish! Today’s new car electronics like Bluetooth and satellite radio systems require a signal enabling window film. Pinnacle, Stratos and LLumar CTX will not interfere with these signals while simultaneously providing maximum heat rejection in all available light transmissions. 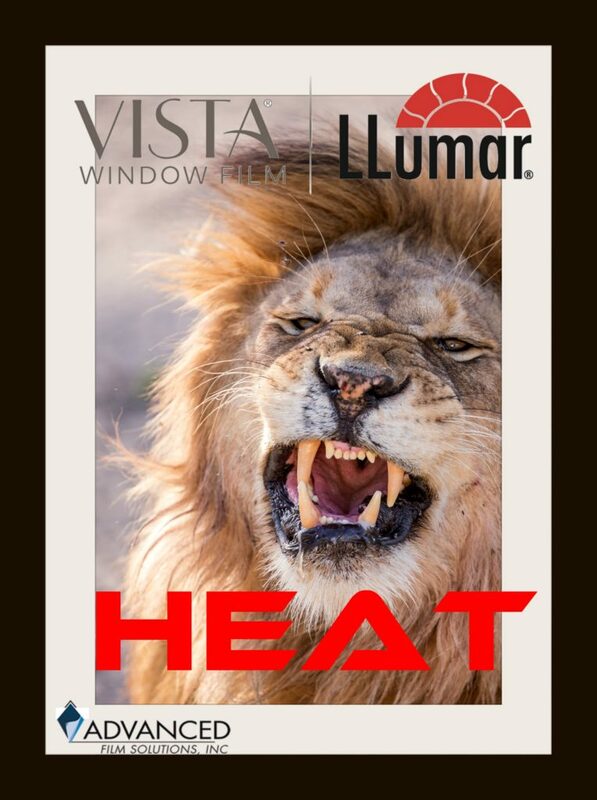 These incomparable films provide invisible IR heat rejection as well as the obvious visible light filtering. The popular light transmissions are 30% for front windows and 15% for rear glass. We also provide AirBlue 80 for windshield applications. 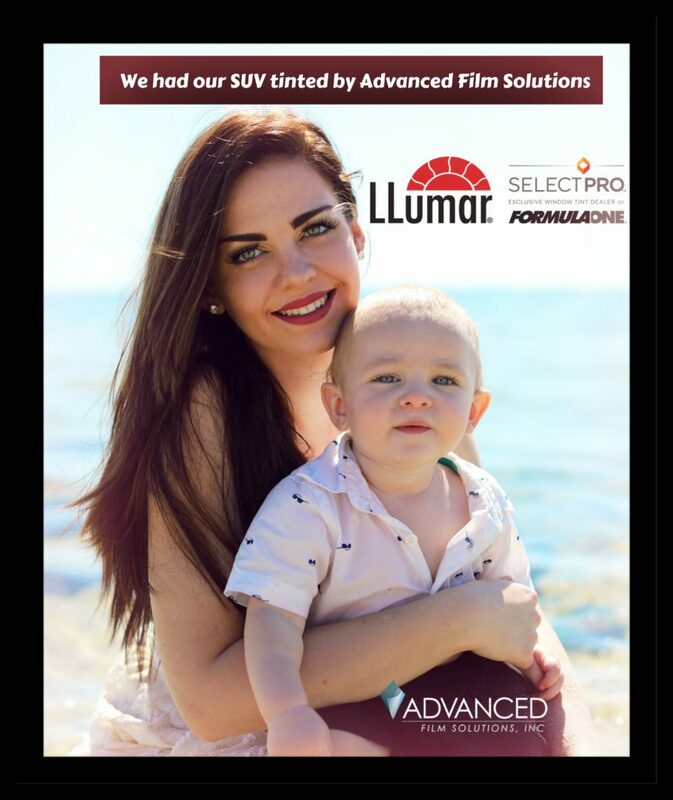 Advanced Film Solutions team of expert installers have several decades of experience and all FormulaOne films have a no fault transferable lifetime warranty. 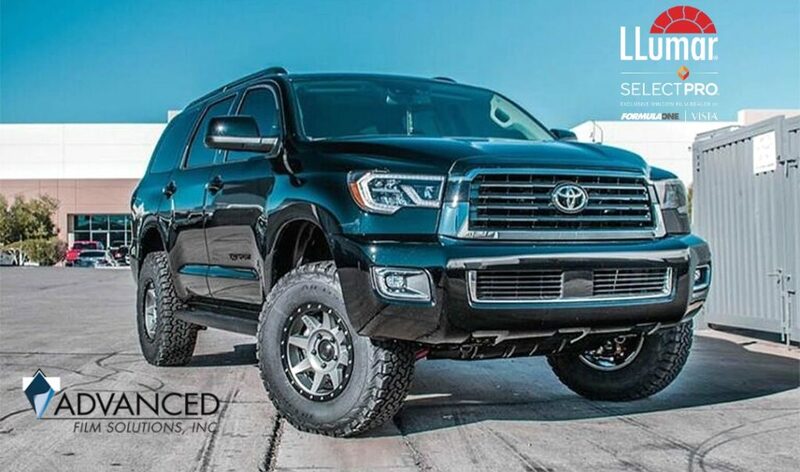 Advanced Film Solutions uses high speed plotters to cut the exact pattern for your vehicle which limits sharp razors on your soft glass windows. Tampa Bay is the place for excessive sunlight and heat. Tampa drivers face more sun days than nearly any other city in the USA. Driving east and west on I-4 and north and south on 275 is difficult enough without frying inside your car or SUV like you are in a fishbowl on wheels! 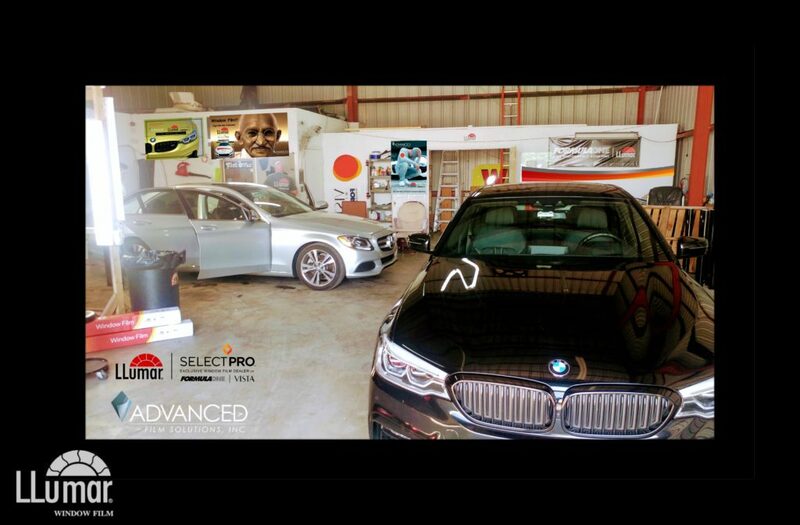 Advanced Film Solutions located in Lutz is Tampa Bay’s leading car tinting installation company. We provide the very best heat rejecting car tinting in the Bay area. There are considerable differences in car tinting which most consumers wouldn’t naturally be familiar with. 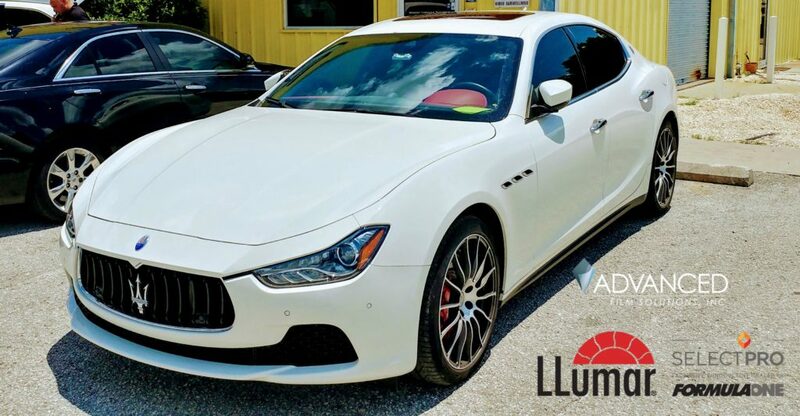 Most car tinters in Tampa Bay offer a cheap dyed film that can result in film failure in a short amount of time. You see these disasters on the road every day. Bubbly, purple, peeling tint. Many mobile tinters carry these cheap no name brands of film with no warranty. It’s also usually impossible to get these people to fix their mistakes. 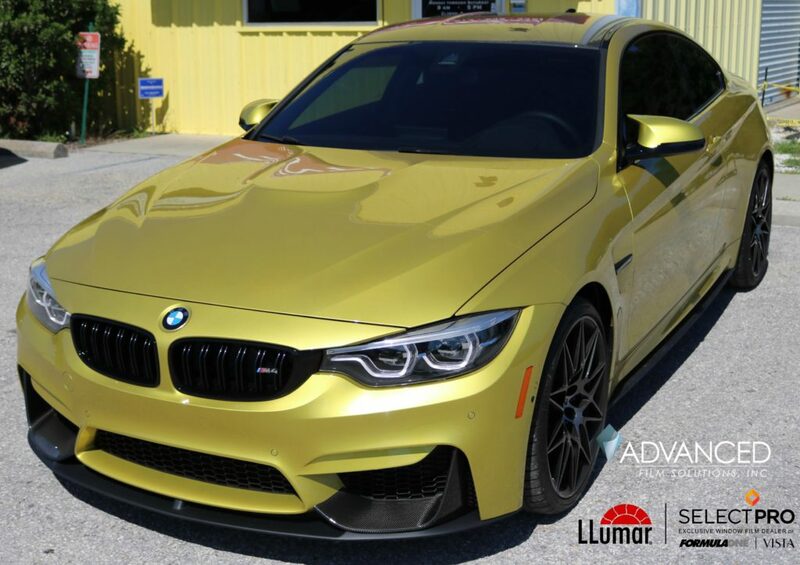 Advanced Film Solutions has a wide range of superior automotive film choices manufactured by Eastman Chemicals. 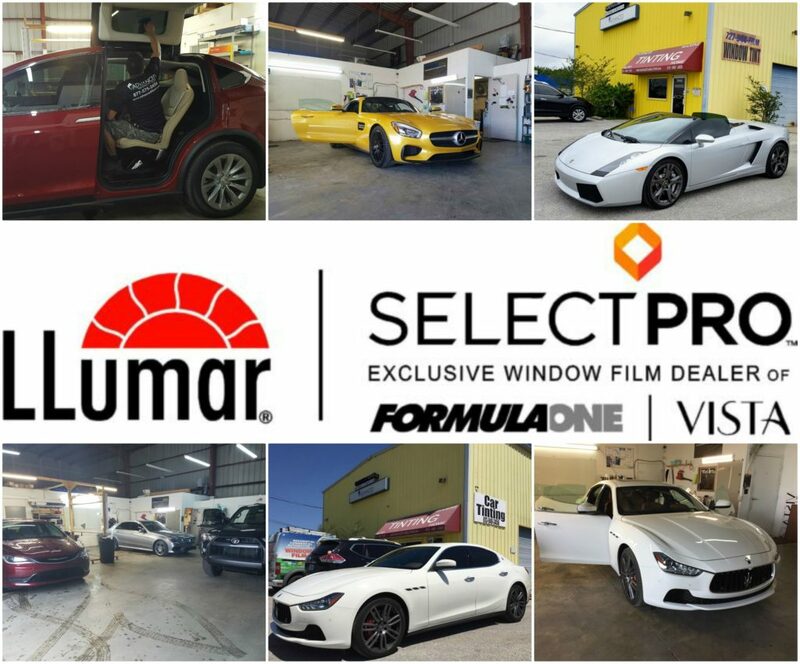 These choices include LLumar SelectPro FormulaOne and LLumar High Performance Films. Incredible heat rejecting ceramic films that filter out heat yet won’t interfere with your on board electronics, GPS or Satellite Radio! 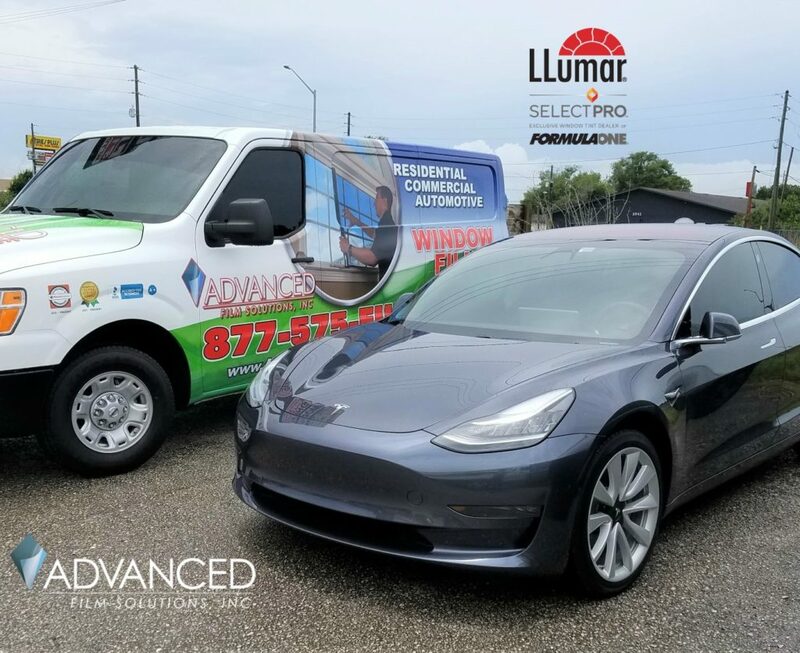 LLumar CTX, FormulaOne Pinnacle and FormulaOne Stratos are all available in Florida legal 15% (rear windows) the heat rejection is unmatched by any competitive film in the world! 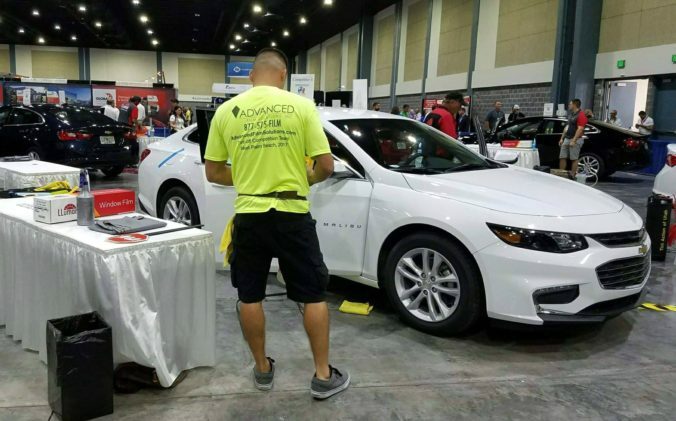 Advanced Film Solutions technicians use precision cut software and high speed plotters to match the pattern of all vehicles built since the 1990’s. FormulaOne has a lifetime, no fault transferable warranty which is also unique in the Bay area. 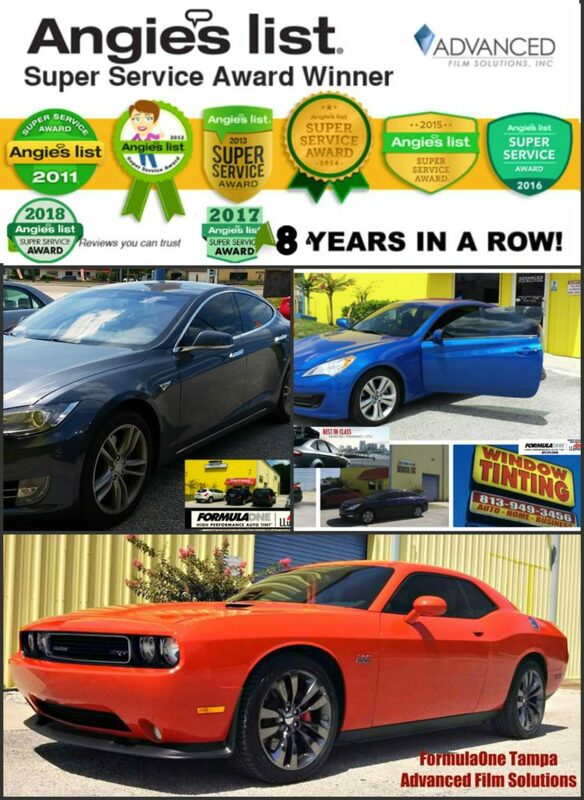 Our window film tint specialists have more experience than any competitor and we have earned an A Plus Rating from the Better Business Bureau and have earned eight straight Super Service Awards from Angie’s List. 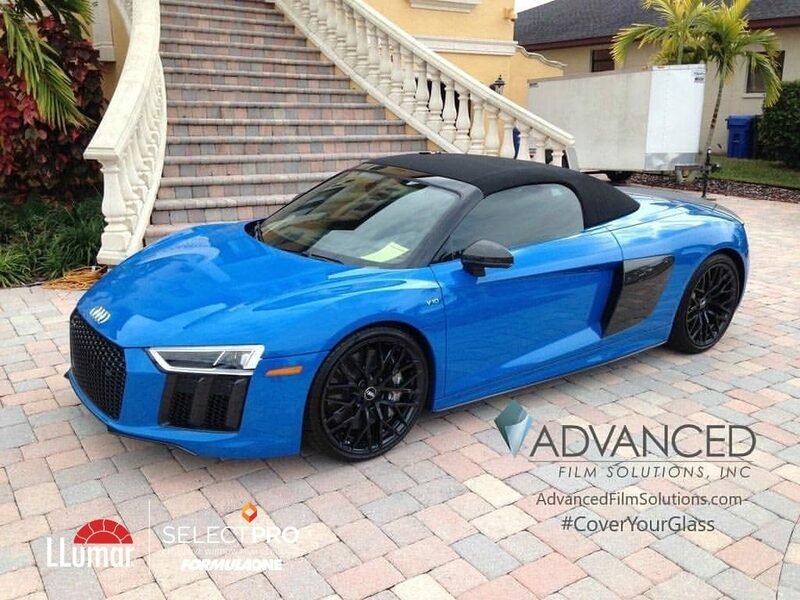 Advanced Film Solutions has become Tampa Bay’s number one car tinting choice. Located in Lutz FL on Land O’ Lakes Blvd our techs are the best in the business! 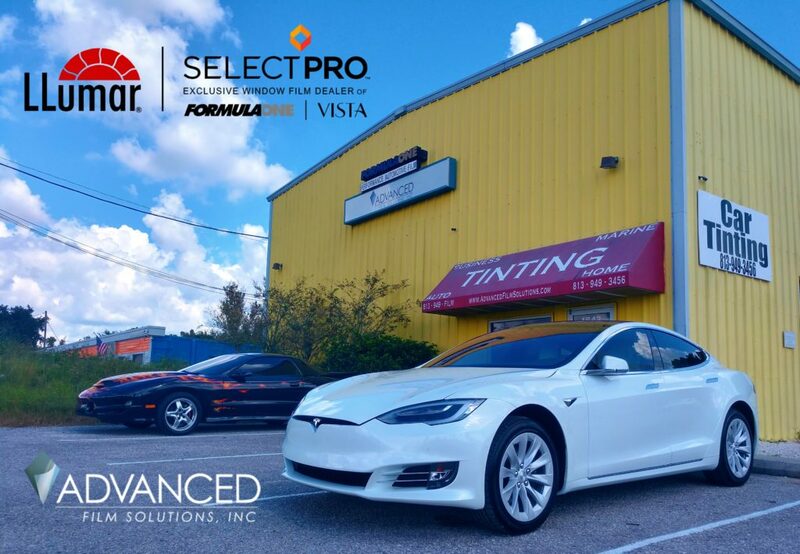 We utilize high speed plotters and precision cut software to create the car tinting patterns. This makes for a smoother and faster installation with no sharp objects on or near your car! 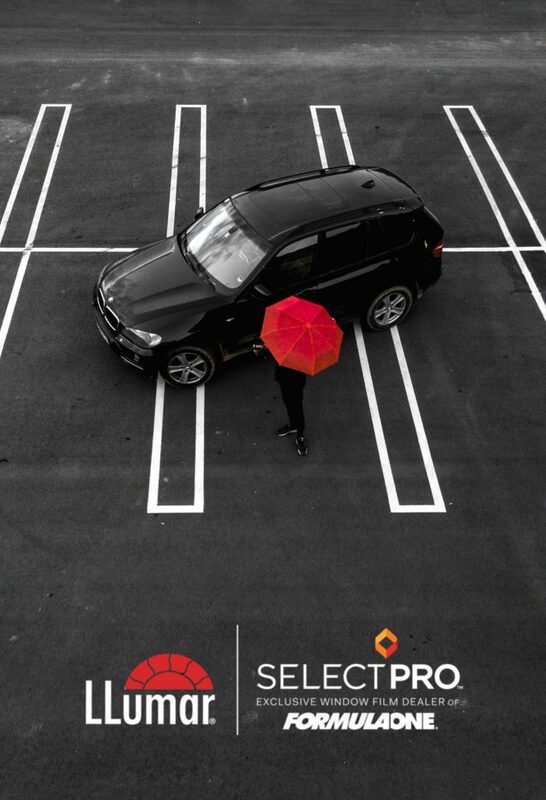 We use Eastman LLumar SelectPro FormulaOne automotive films including Stratos, Pinnacle and TX Ceramics. 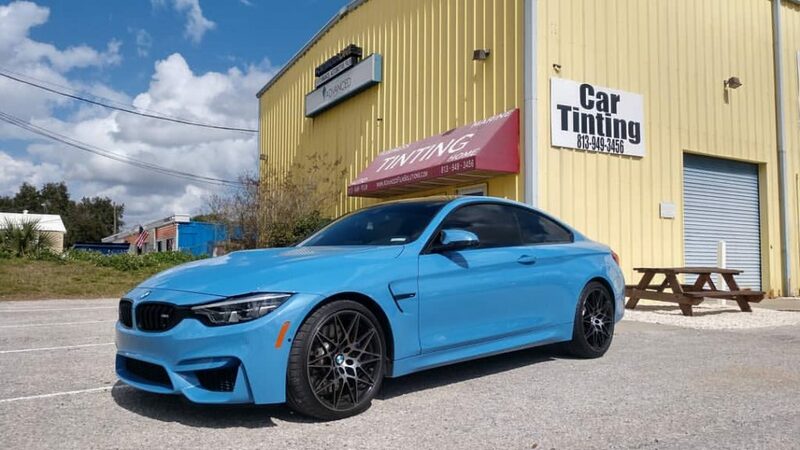 These films will not interfere with Bluetooth, GPS or FM AM radio or cellular transmissions and we perfectly match your factory tint privacy glass. Lifetime warranty and transferable no fault with our FormulaOne Choices. Eight Time Super Service Award winner with Angie’s List.